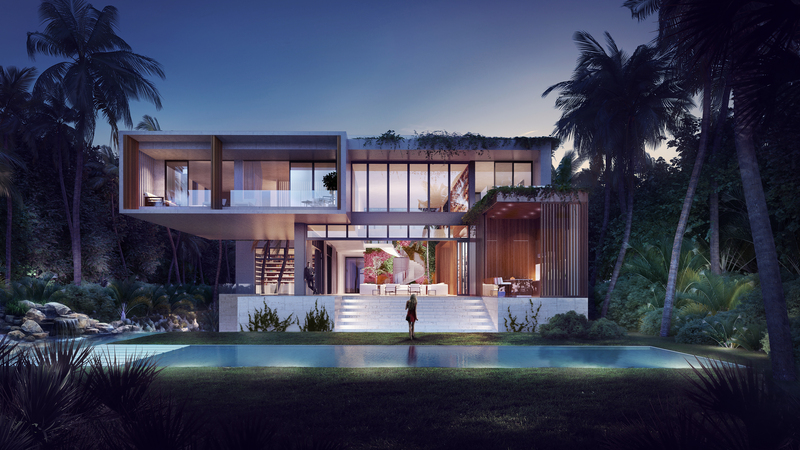 AN has an exclusive look at a new home in Golden Beach, Florida designed by Chad Oppenheim of Oppenheim Architecture + Design. 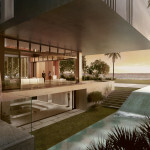 If we’re being honest here, the 23,000-square-foot home is really more of a resort masquerading as a private residence. Or maybe it’s a private residence masquerading as a resort. 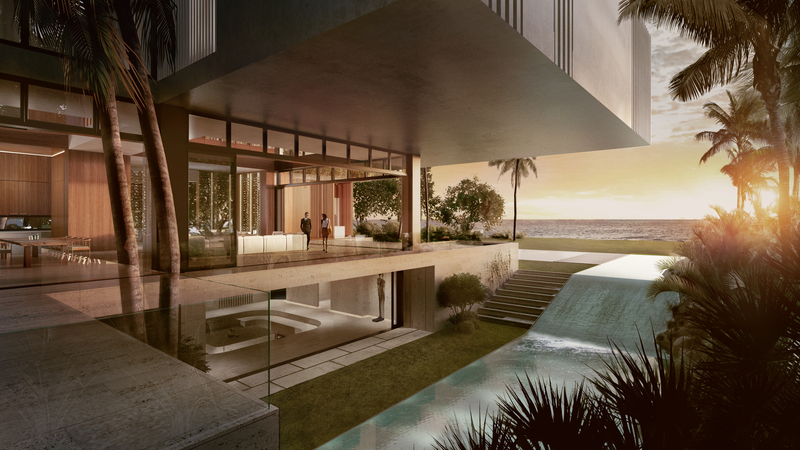 Either way, the home is massive and packed with amenities. 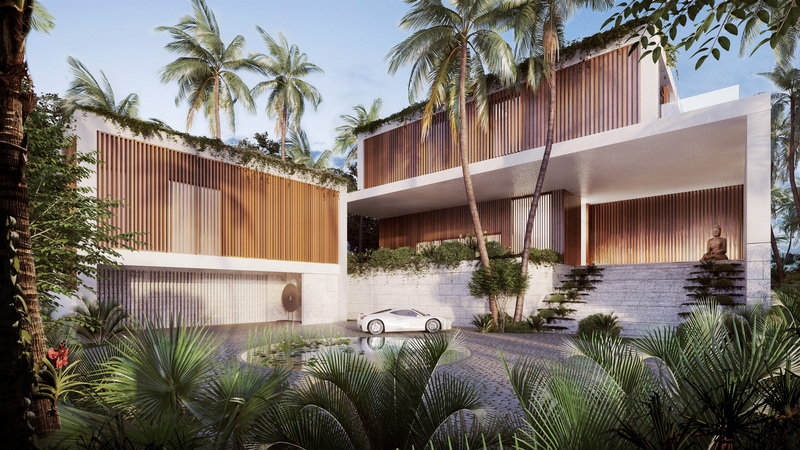 The very, very large home is comprised of stacked concrete volumes that are visually softened by overgrown vegetation and moveable vertical wood slats that act as a shading system. 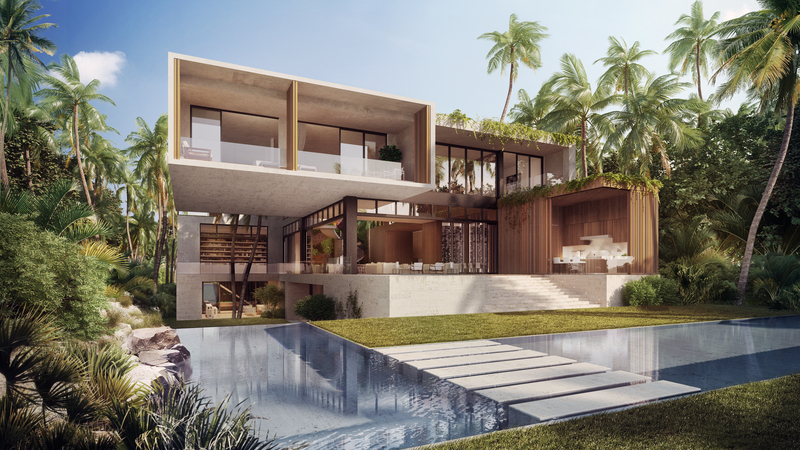 Massive window panes and openings connect the interior and exterior spaces giving the entire place a very open and airy feel. 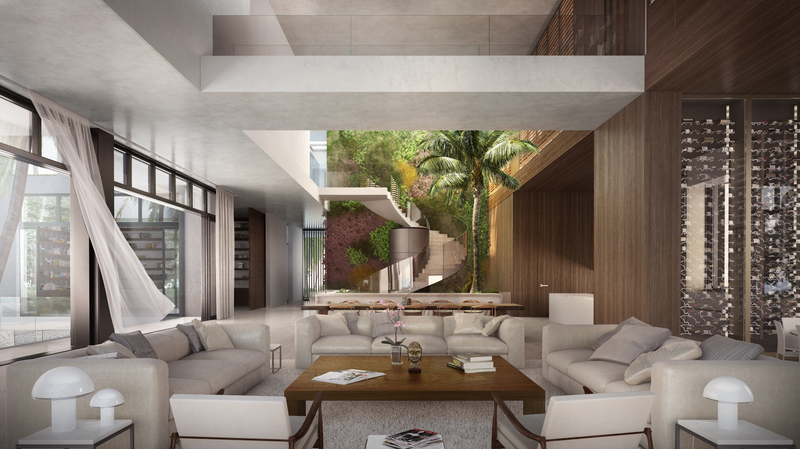 To complete the natural feel, Oppenheim plants a tall “living wall” of local and exotic flora in the main entryway. If at any point, this home—with its en-suite eight bedrooms—starts to feel a little cramped, there is always the 700-square-foot guest house next door. For the record, that guest is house is 200 square feet smaller than the home’s main kitchen. “We worked really hard to make sure this home will enhance every aspect of your life–from pulling into this incredible garage to sitting on a second story terrace or a roof garden and opening the windows that retract automatically into the walls, really helping one connect viscerally to the place,” said Oppenheim in a promotional video for the home. The home is listed at $36 million so booking a few nights at a resort probably makes more sense. Looks like you’re going to have to share the hammam room.